Utilitarian items can be beautiful, too. Don’t settle for any old paper towel holder, buy a gorgeous (and timeless!) marble paper towel holder. Perfect for classic and modern kitchens, these marble towel holders are stunning! Last month I shared our DIY Paper Towel Holder. The Marble Paper Towel Holder turned out beautifully, and is holding up well. We use it daily, of course, and I’m frequently admiring my work (so humble, right?!). Practical DIYs make me unusually happy. I’m not into knick knacks… and I prefer limited decorative items in our home. Though I’m no minimalist, I’m drawn to beautiful pieces that are practical, as well. Utilitarian products don’t have to be boring. So, if you’re in need of pretty, practical, paper towel storage (and don’t have a marble cheese board on hand), check out these beauties! Have you hidden your paper towel roll in a cabinet? 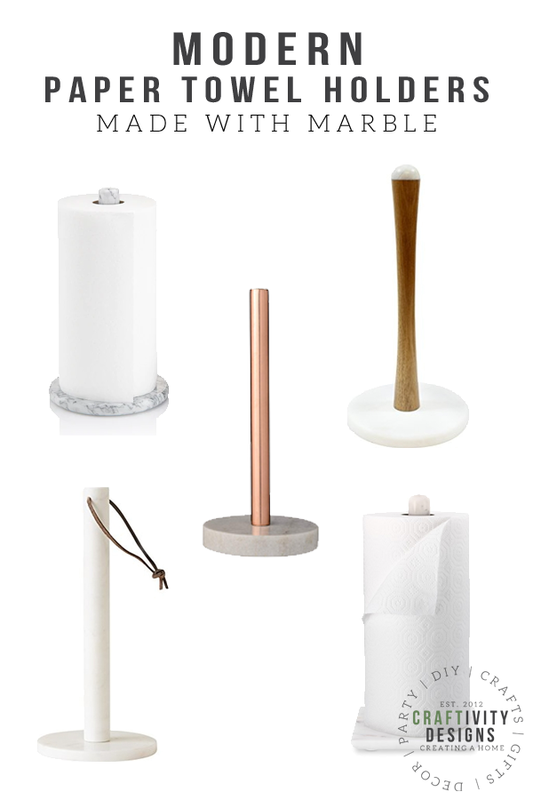 This collection of stylish paper towel holders will make you want to set the paper towel roll out on the counter. Marble and Copper Paper Towel Holder – If you have copper hardware in a modern kitchen, this is your pick! It includes marble in a modern cut and a metallic copper finish on the stem. Solid Marble Paper Towel Holder – Perfect for the kitchen that is a bit more traditional, as it features a classic shape and is solid marble. Marble and Acacia Wood Towel Holder – This Acacia Wood Paper Towel Holder has a marble base and topper, with a mid-century modern shape. Beechwood and Marble Paper Towel Holder – If you like a wood and marble combo (but aren’t looking for mid-century design) this beechwood paper towel holder is your pick. Stylish, with a simple silhouette, it’s an affordable pick, too! Leather and Marble Towel Holder – I love the simplicity of this marble holder with a leather tie. It would fit in many kitchens, including farmhouse, modern, and minimalist spaces. Solid Marble Towel Holder (with square base) – Another good pick for a traditional style kitchen, but the square base is a bit unexpected and gives it an understated modern edge. So, which would you pick? Let me know, in the comments. 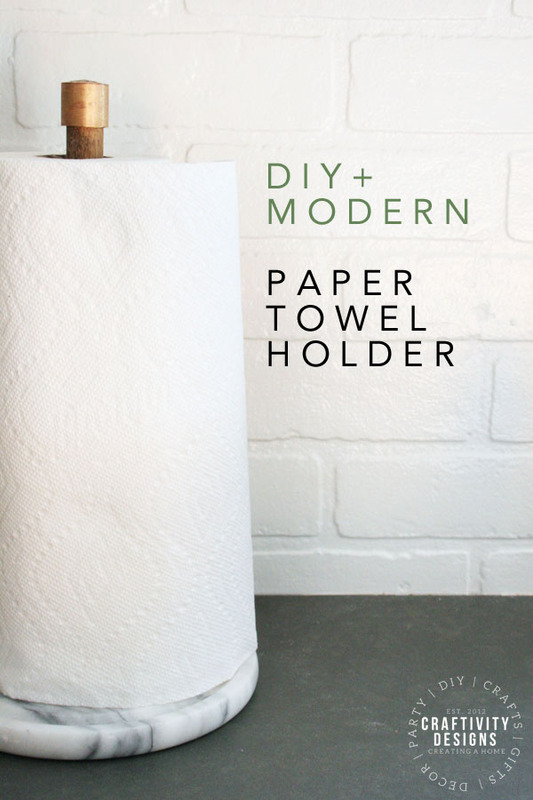 How to make a DIY Modern Paper Towel Holder. 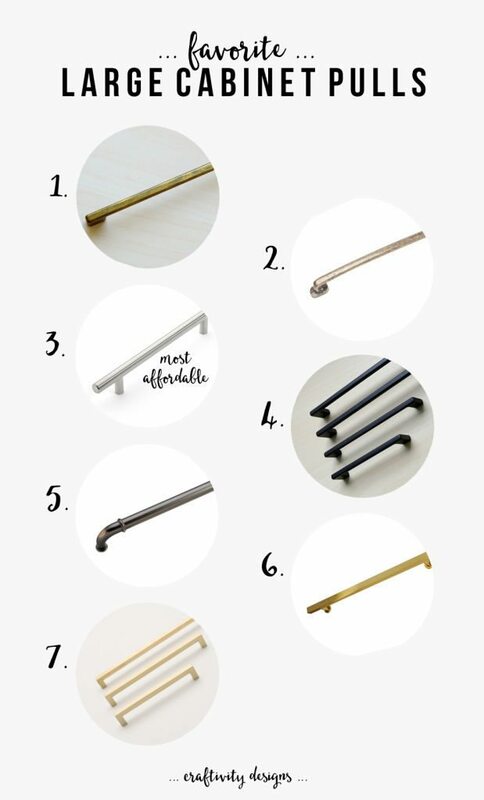 My favorite large cabinet pulls for stunning hardware on a pantry or wardrobe.